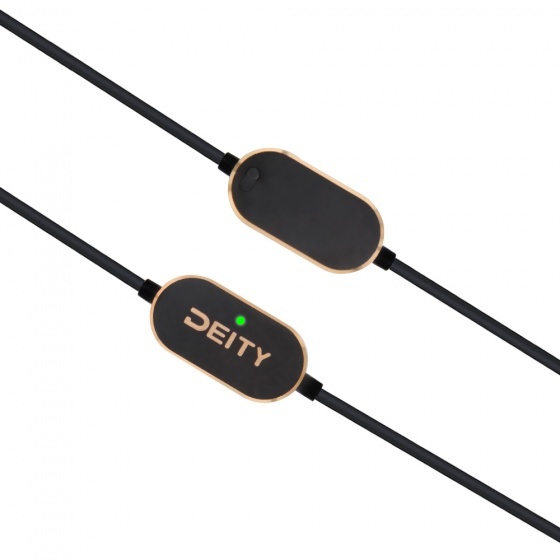 The Deity Microphones V.Lav is an omnidirectional lavalier microphone offering transparent audio capture and broad device compatibility for videographers, YouTubers, and sound recordists. With a built-in microprocessor that automatically configures its TRRS connector to work with most 3.5mm mic jacks, the V.Lav is compatible with a variety of DSLRs, camcorders, mobile devices, and portable audio recorders. Its 16.4' attached cable allows shooting at a natural distance. The pre-polarized condenser capsule features an omnidirectional polar pattern for consistent response to sound from all directions, making it more forgiving to improper mic placement. The 50 Hz to 20 kHz frequency range allows accurate source reproduction without sonic coloration. Use the provided foam windscreen to minimize plosives, or attach the supplied faux fur windshield to reduce wind noise in outdoor environments. The V.Lav includes a tie clip and convenient carrying pouch. 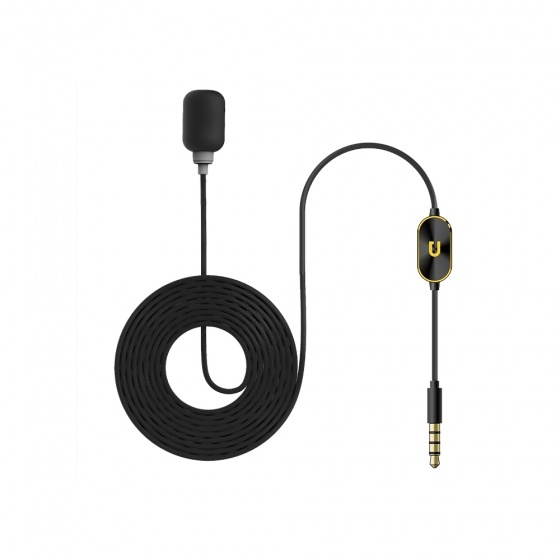 The V.Lav incorporates a microprocessor that automatically adapts its 3.5mm TRRS connector to work with most 3.5mm microphone jacks. Out of the box, the V.Lav is compatible with DSLRs, camcorders, smartphones and tablets (late-model iOS devices require Apple's Lightning to 3.5mm headphone jack adapter), portable audio recorders, bodypack transmitters, and laptops. With a 16.4' cable, the V.Lav offers plenty of slack to run the mic into a camera on a tripod. 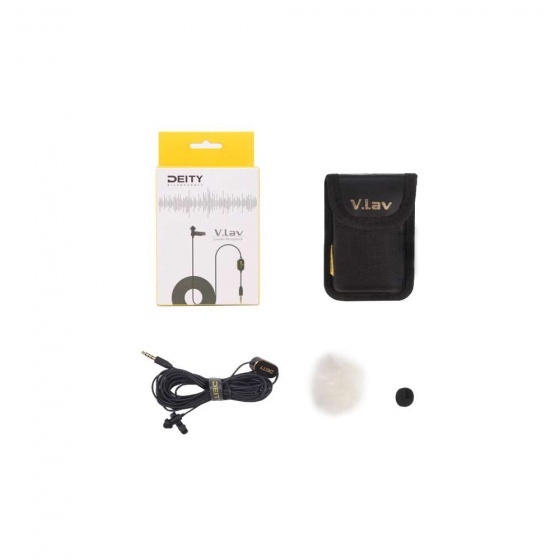 Simply clip it onto your clothes, plug it into your device's microphone or headset jack, then start recording. By employing an omnidirectional condenser capsule, the V.Lav picks up sound equally from all directions. 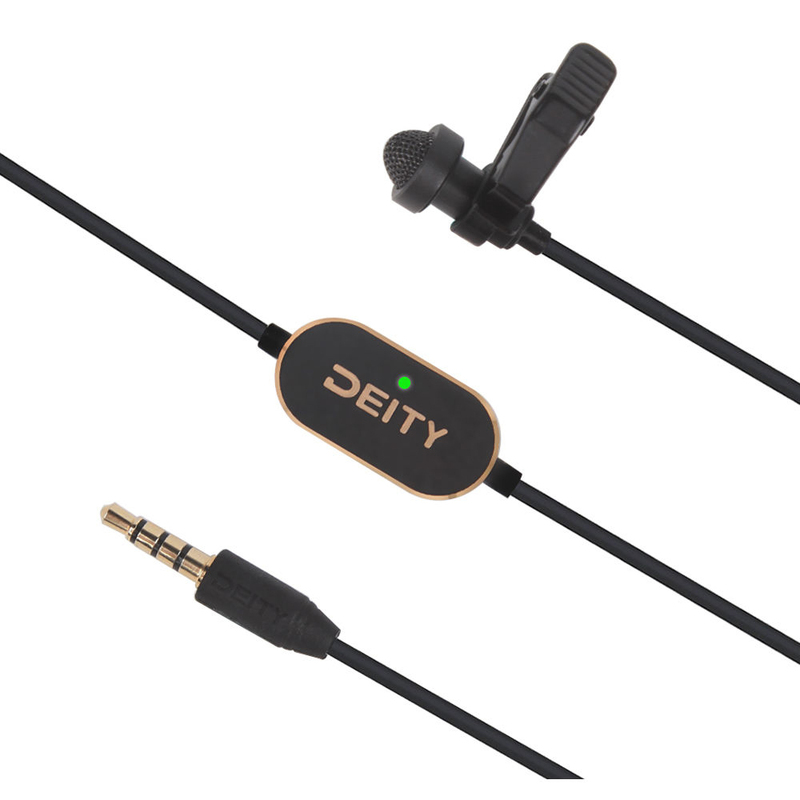 In addition, its flat frequency response is optimized for coloration-free audio capture. The V.Lav uses two LR44 cell batteries, enclosed in a CNC aluminum housing along with the microprocessor chip. Battery power is only used when the V.Lav is determining how to adapt to the microphone input you've plugged it into. After the V.Lav has adapted to your device, the microphone capsule then uses the voltage from your device, and the LR44 batteries are put back to sleep. The included foam windscreen and faux fur windshield minimize wind noise and vocal plosives. The cord organizer allows for clean cable management, and the rugged carry case is perfect for safely carrying the entire kit.